Clip Earrings (worn as collar clips) similar/clip: Thrifted. 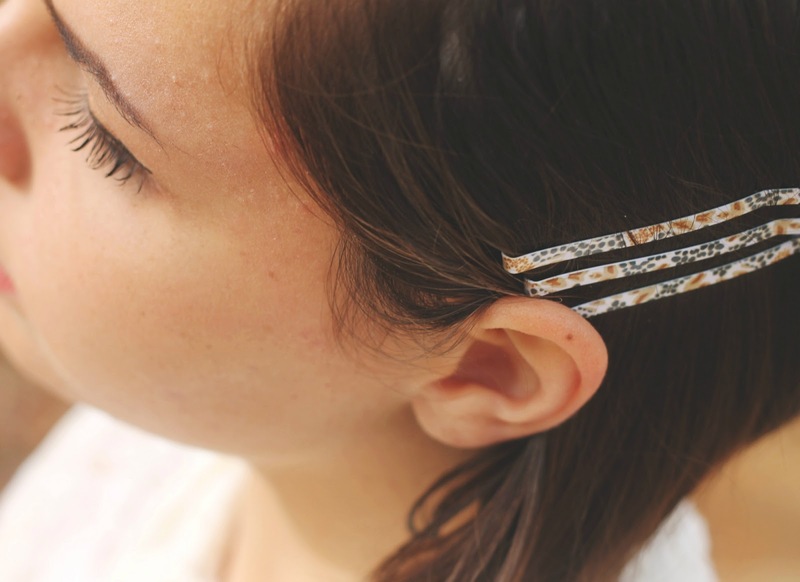 Floral Hair Pins (similar): Ulta. 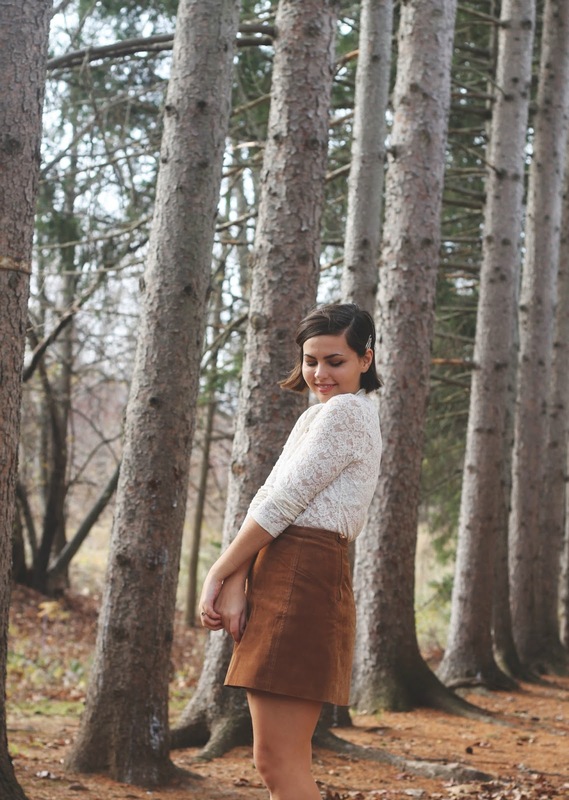 This was the amazing skirt I was talking about in my previous post! It's vintage 1970's heaven...I've really been into monochromatic looks lately: taking one hue and wearing pieces in various shades and tones of it. Also, a really simple style tip I love to do is taking earrings from my clip collection and using them as collar clips! 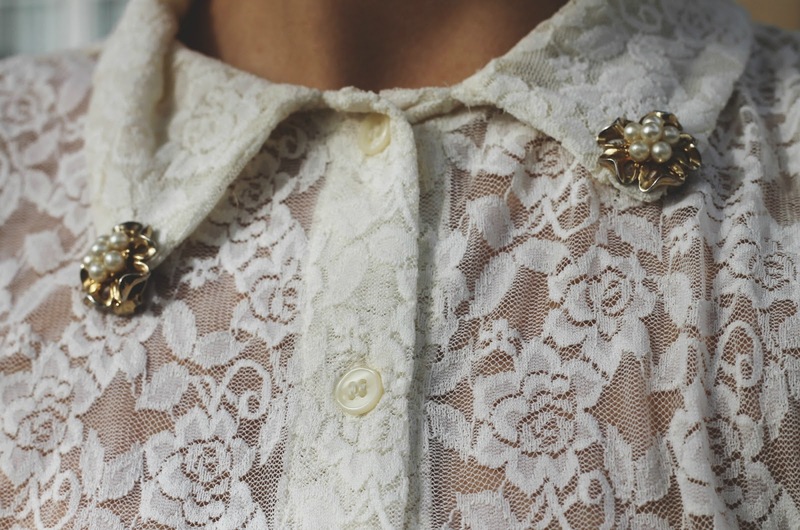 It adds a little something special and extra to just a plain blouse. 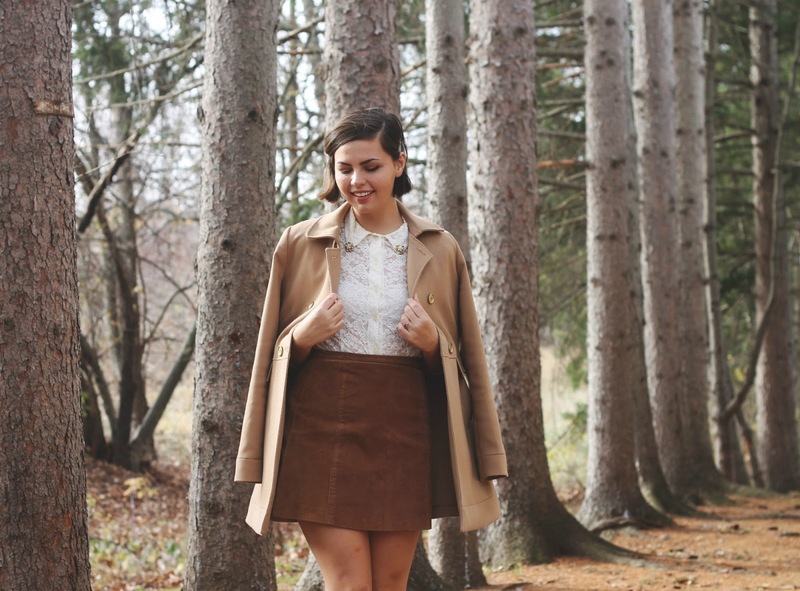 Labels: College Fashion, fall, Style Icons. 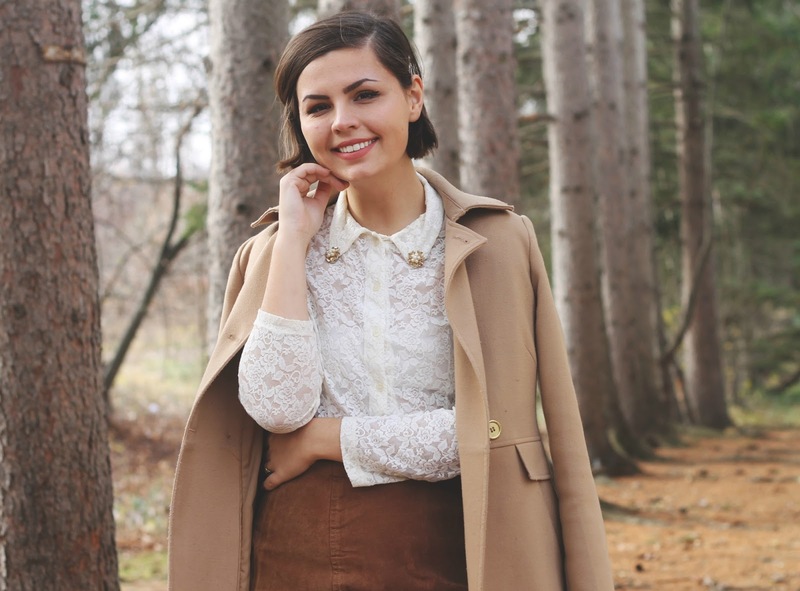 This ensemble is so perfect! Loved getting to see the skirt you were talking about and also neat to see you implementing the hair pin look you got from the runway show! - it is an idea I THINK I got from you originally! The tan skirt is nice. I love wearing multiple bobbypins in my hair but some of them really do rip my hair out which hurts- not perfected the art of removing them! Oh, my! How lucky you are to have thrifted that!!!!! This is such a fantastic classic look. 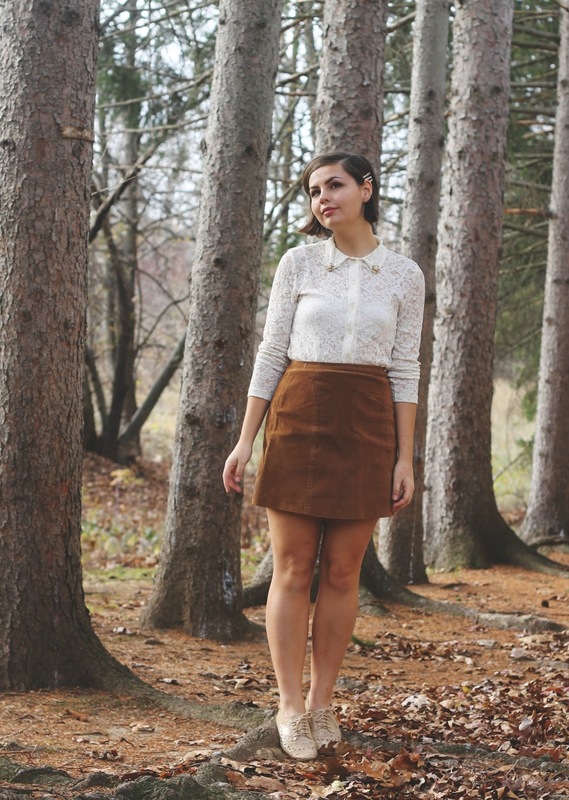 I'm loving the neutral colors here, the triple bobby pins, and that amazing vintage suede skirt. Also, thanks for the tip on using clip on earrings as collar clips. I have quite a few and they're so uncomfortable to wear as actual earrings, I'll have to try your idea! 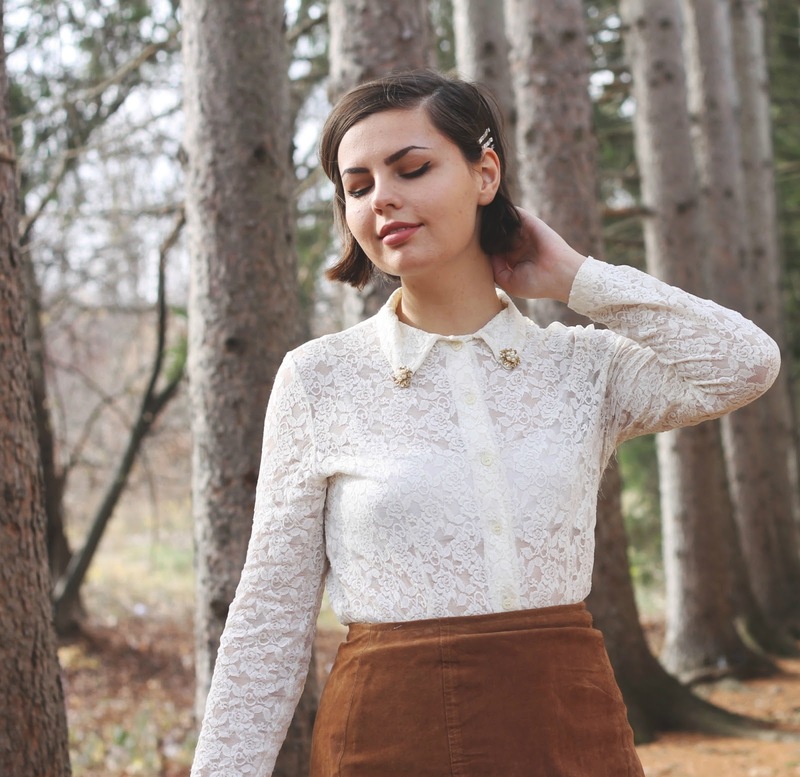 Wow you completely lucked out thrifted that skirt. Such a beauty! Lauren, these photos and this outfit are perfection. 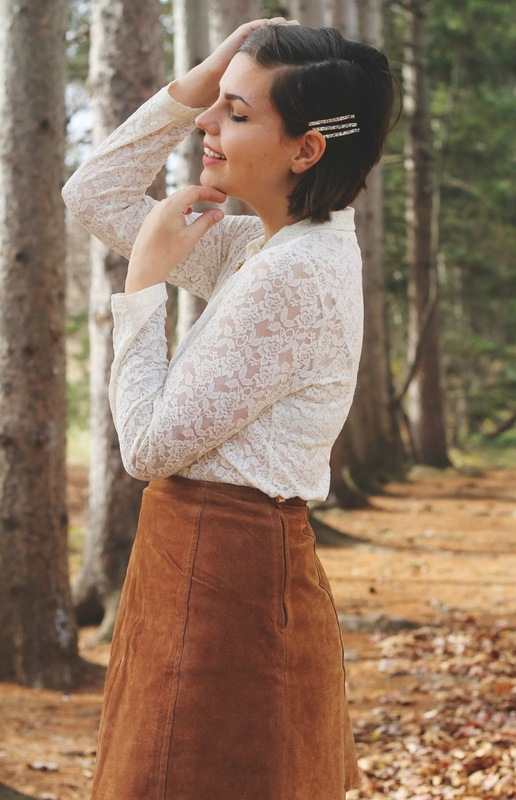 I can't believe you thrifted that skirt, so in love with it! Such a beautifully sweet outfit. I love the combination of neutral shades and the added twists which make it your own. How lucky to have found such pretty items and what a great way to showcase them.